Don’t join the 90% of saltwater tank owners who fail and quit this hobby within 2 years! On this page, you’ll find a simple Saltwater Aquarium ‘Success Hack’ that literally lays out every step to take to thriving marine life. Give me 5 minutes, and let me prove to you why it works. “Hi, I’m Andrej Brummer, the saltwater scientist, and welcome to SaltwaterAquariumAdvice.com. Now I love saltwater aquariums, everyone loves saltwater aquariums. They’re so beautiful with so many colours, shapes and forms, it’s like natures television in your own house. So why do so many people have problems with saltwater aquariums? And why do up to 90% of people fail at this hobby? Water quality issues, compatibility issues, choosing sick and damaged invertebrates, not doing what you are supposed to, making silly mistakes. And that’s why I wrote my eBook “Ultimate Secrets to Saltwater Aquarium Fish and Corals” to help people just like you. The key to a thriving saltwater aquarium is to create an environment just like the ocean; everything is pristine, everything is stable, the chemistry, the lighting, the compatibility, the flow, it’s all PERFECT. So why don’t you have a look at my book and see what it can do for you and your tank”. You don’t have to spend months learning everything there is to know but do get some important lessons that will be the defining difference between a thriving tank and a trouble-prone, expensive one. You either win or you lose in this hobby with its steep learning curve. I was a qualified biological scientist who studied marine biology at university and my expensive fish died, I had disease breakouts, nasty water chemistry issues wreaked havoc in my tank and I watched my corals turn slimy before my eyes! When I was starting out I screwed up a lot. I don’t mind telling you I wiped my entire tank out not once, but twice through making silly little mistakes I didn’t even realize I was making at the time! I lost years of hard work, thousands of dollars and all the love I put into that tank and my dead pets…I was almost ready to quit. Whenever I had minor or major problems I did a LOT of research online, everything and everyone advised me something different. It was slowly driving me insane. WTF! I was a trained biologist and I couldn’t even succeed with my 55 gallon mixed reef! After becoming fed up with failure I decided to properly apply my biology degree to the problem and do things according to marine biology principles of captive marine systems. I researched and observed, experimented, tested and measured everything for myself scientifically until finally; saltwater aquarium success would be mine! Being a scientist with access to various marine laboratories, scientific libraries and geeky professors, I soon accumulated a LOT of knowledge about captive marine systems. My tanks started easily thriving and I was soon giving aquarium keeping tips to senior scientists and students. I knew I had cracked the holy grail when I kept getting invited to do presentations to marine biology students. The weird thing was that so much of the marine biology theory on captive marine life systems I learned and stuff I researched myself just wasn’t online or in any home aquarium books I had read. 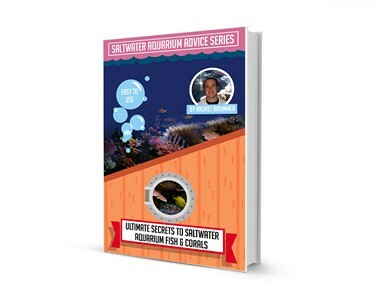 I really wanted to help aspiring saltwater aquarists achieve success, so I decided to get writing and share of all of my hard-won saltwater aquarium expertise in an easy to understand format. My ebook was born, and in a few short years I had already sold 4,000 copies and was getting rave reviews from around the internet. People were calling me a “tank-saver” and “coral-whisperer“, so I decided to make my book even better! Introducing my new, entirely re-written 234 page: “Ultimate Secrets to Saltwater Aquarium Fish and Corals”. ⪼ The correct tank set up for you, done the right way. Including an entire section on the step-by-step of how go about creating that future-proof set-up of your dreams. ⪼ Creating a perfect aquatic environment section. What parameters and levels you need to worry about and how to adjust and get them stable for the long term. The marine biologist tools of awesome water quality. ⪼ How to choose the right species and specimen for you and your set-up. Compatibility, stocking, putting what-in- when- with- whom, creating the right micro-habitats and doing everything right so that your marine pets thrive! ⪼ How to eliminate up to 90% of all saltwater aquarium fish and coral diseases. The best defense is a good offense. You will learn the expert’s processes of quarantine, acclimation, transport, healthy specimen selection and choosing an outstanding retailer you can trust. ⪼ What equipment you really need (and what is going to be a waste of money for you). What chemicals, test kits, additives, dosers and gadgets will make life easy for you and what is going to cause you more problems than benefits. ⪼ How to ensure you don’t choose one of the 80% of wild caught marine pets that are doomed from the start. Foolproof systems to ensure you come home with a winner. ⪼ The 16 most popular marine fish species fact sheets. Everything you need to know about these most popular of saltwater fish. ⪼ Detailed section on corals and other invertebrates covering problem diagnosis, treatments, troubleshooting, feeding, compatibility and ensuring good health. ⪼ Creating the perfect lighting and environmental conditions and how you achieve flawless placement critical for thriving coral and non-moving invertebrates. ⪼ Marine fish diseases section, featuring super-detailed accounts of the 4 biggest killers and how to diagnose and combat them, other diseases, physical and behavioral problems, how to ensure good health and keep fish disease out of your aquarium. ⪼ Tank and marine life troubleshooting section, including the 10 most common mistakes and how to avoid them, the best acclimation and quarantine strategies known to the hobby. ⪼ The optimal parameters for the vital elements of saltwater chemistry for each type of tank set-up, how to adjust them and how they affect your marine life. 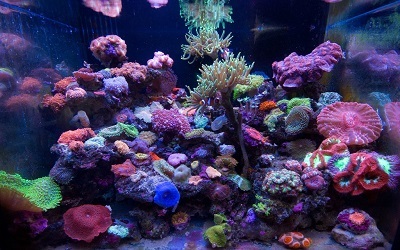 ⪼ The specific husbandry techniques absolutely necessary for thriving photosynthetic corals and invertebrates no reefer should be without. ⪼ The fundamental methods of feeding that will result in much happier, brighter, more active, healthier fish. ⪼ How to easily and cheaply rid your tank of pest algae species like Cyanobacteria, hair algae, and Bryopsis, then identify the root cause to stop it ever coming back? I’m offering you immense opportunity today. Opportunity I wish I had when I was starting out with my saltwater aquarium. But I’m also giving you immense value. Let me put it in perspective: I’m going to give you the precise steps you need to take in order to have a thriving tank. Your marine life will stop dying, your tank will not turn to slime, and you won’t have to throw any wasted money down the drain. On top of that…I’m giving you my entire Saltwater Scientist’s Success blueprint. I spent years at university and then in the lab refining, testing and measuring these techniques. How much do you think that’s worth? Well, there’s no “price” I can put on it. However, Individuals have paid me $1,500 for one day of my time. So what’s your investment today? If you say yes today, I’ll give you everything… no catch… for ONE investment of $37. Nothing more, ever. All yours. Ready to go. In fact, let me make it very simple for you to take advantage of this information right now… I’m going to give you 3 awesome gifts to go along with my ebook! And no, this isn’t another one of those offers where the bonus is some over hyped product that under-delivers. This is a genuine, highly valuable offer that you will get massive benefit from, and you get it all FREE…. How would you like to learn how with a small amount of effort and cost you could potentially turn your hobby into something that can generate income? You might be able to make your tank completely self-funding or take it further and start making some additional income. This guide reveals 5 powerful ways you can do this starting right now. ⪼ How propagating corals, invertebrates and sea plants can generate profit. ⪼ How to go about breeding fish, corals and invertebrates for income. ⪼ What you need to know to grow prized specimens of marine life you can then onsell. ⪼ How to create the right conditions and environmental cues fish need to breed. ⪼ How you can easily provide nesting materials for nesting species to spawn. ⪼ What you need to know about the different breeding habits of fish species and what species are easier to breed than others. How good would it be to be able to effectively “clone” your Invertebrates, Corals and Sea plants? Think of the possibilities, do it for yourself and friends or even get store credits or sell a couple on the side. Takes the pain out of your tank set-up. Easy to use, step-by-step checklists when setting up a new fish only, fish only with live rock or reef aquarium. Make purchasing all the right equipment (and none of the unnecessary stuff) easy. This saves a lot of unnecessary guessing and cost. It is yours as part of this ultimate package! The biology degree, pouring over marine biology textbooks, years of trial and error using “research” tanks, studying different species of fish, corals and invertebrates and taking research notes for weeks on end. If you don’t think it’s hard to find accurate saltwater aquarium information out there, just ask a few questions on forums and see how many different answers you get! What you get with my eBook is the simplified, distilled essence of all that knowledge, my goal was to produce the most comprehensive guide to marine fish, invertebrates and corals ever assembled. So many books focus on the aquarium itself but the key to your success is to have in depth knowledge of the marine life! Just ask any successful zookeeper, it’s way more important to know about the animals themselves than the zoo! So why would you invest in a toolkit like this and not just get this knowledge from your local aquarium store or online forum? 1. People simply don’t know this stuff, and why would they? Try finding a degree qualified pet shop employee who studied marine biology at university, I have, and they just don’t exist. 2. No offence but pet stores might not want you to know this stuff anyway. Anyone equipped with this information is going to spend way less at the pet store when things don’t go wrong constantly and when they can’t be deceived into buying a useless, overpriced product or piece of equipment or new additive. How can they make a decent living when marine aquarium savvy people like me only need to purchase fish food? Consider the costs and anguish of getting it wrong with your marine aquarium; it can easily escalate into hundreds of dollars each time. You are getting the benefit of my many years of practical and theoretical research and experience. I have fine-tuned the science every step of the way to make it easy, user friendly and highly valuable to you so you can shortcut your way to success. I’ve Removed All Risk: My 60-Day, No-Questions-Asked, No-Hassle Money-Back Guarantee Means You Don’t Have To Take My Word For It. Try It For Yourself. In the unlikely event you are not 100% thrilled with “Ultimate Secrets to Saltwater Aquarium Fish and Corals” you get a 100% no-risk-to-you-guarantee. In fact, I invite you to use this eBook and put all the risk entirely on me. If at any time in the next 60 days you feel that it falls short in delivering everything I have promised in this letter, just let me know and I’ll be happy to give you a full refund, no questions asked. In fact, if for any reason you’re not 100% satisfied, I want you to demand your money back. You can even keep your entire “Ultimate Secrets to Saltwater Aquarium Fish and Corals” package as my way of saying thank you for visiting. The fastest way to a thriving tank is through having good quality information on hand and taking the time to learn an implement the correct procedures. I have devoted my life to helping good people like yourself. And I know deep down that no one hat fits all. So, I live by a simple pledge: I will remove any and all risk from this decision. I will offer you a solid, no questions asked, 60-day money back guarantee. You have a full 60 days to jump in and dig in. If you aren’t completely satisfied, you can easily ask for your money back, no questions asked. No hassle, no fuss… no risk. Sound good? Your own thriving, enchanting saltwater aquarium is waiting for you. All you need to do is click the button below. You get the entire Ultimate Secrets to Saltwater Aquarium Fish and Corals. 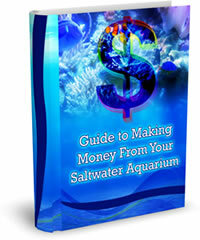 You get the free eBook How to Make your Aquarium Self Funding. 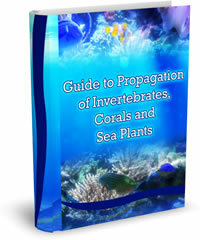 You get the free eBook How to Propagate Corals and Invertebrates. You get the free set up checklists. You get a risk free 60 day guarantee. I invite you to join me today. I wish you only the very best, I truly hope you see inside my book. Here’s to your saltwater aquarium success. P.S. How far will you get if you don’t have the knowledge you need for a successful aquarium? How far do you think you can get? I would never have achieved a successful saltwater aquarium if I didn’t make the critical decision to apply the science behind marine biology and use the success principles that makes many peoples aquariums thrive today. Who knows, maybe I’d still be killing my fish and wasting my money. Without this, it will be a long road, my friend. It will be hard. Yes, you can do it. I did it. But why put in the years of time, effort and struggle that I did, when all you have to do is say ‘yes’ today… without any risk? P.P.S I can imagine it might feel too good to be true. Can you really have a successful saltwater aquarium just by following my simple steps? The science is there, the proof is there, but it might seem too good to be true. That’s why I’m letting you have full access completely risk free. You have a full 60 days to test drive and see if I live up to my promises. If not, simply let me know, and you get to keep the entire success program, the 3 bonuses … and get a complete refund. No questions asked. I want to be clear: You will see results as soon as you apply my simple protocols, but this is not a simple flick of a switch. Yes, it’s virtually effortless for you and yes it’s proven to produce results faster than any other method. And yes, it’s a close as you can get to a ‘magic pill’ without me physically coming to ‘fix’ your aquarium. But, as you can imagine, a successful, thriving aquarium is not about a short list of improvements. Developing that fusion of skills and knowledge has many parts. However, I have created a way where you CAN see results. Results that can offer tangible changes in the health and success of your saltwater aquarium… that can push you in the direction of the stunning tank you want.